Updated Thursday Nov. 8 at 8:20 a.m.
With the state facing a massive housing shortage that has driven up prices, California voters passed Proposition 1, a $4 billion affordable housing bond. Voters also approved Proposition 2, a separate measure that will allow the state to use a past tax on millionaires to fund housing for the mentally ill. Proposition 1 was placed on the ballot by the state Legislature. It will let the state sell $4 billion in bonds to finance the construction and renovation of affordable multifamily housing projects; housing construction near public transportation; down payment assistance for low- and moderate-income homebuyers; housing construction for farmworkers; and home loan assistance to veterans. Proposition 2 will let the state use existing funds to issue bonds that will pay for housing homeless, mentally ill Californians. The money to pay for those bonds will come from Proposition 63, an income tax on people who make more than $1 million a year, which voters approved in 2004. Proposition 63 provides funding for county mental health services, but lawmakers decided in 2016 that $140 million a year of the money should be spent on stabilizing mentally ill people by housing them. 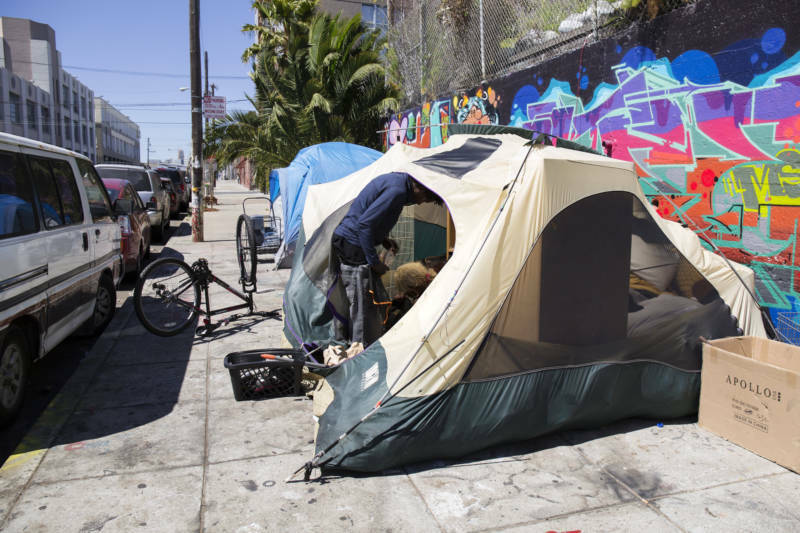 But they decided to go back to voters with Proposition 2 after a lawsuit delayed their ability to immediately use the Proposition 63 funds for housing. “This is, without question, a pivotal moment for mental health care in California,” Sacramento Mayor Darrell Steinberg said in a statement about the passage of Proposition 2. “By leveraging just a small percentage of existing mental health funding, we will be able to build enough supportive housing over the course of this program to get tens of thousands of people who are homeless and living with serious mental illness off the streets and into recovery." California has some of the highest housing costs in the U.S., largely driven by a lack of construction. According to the nonpartisan Legislative Analyst's Office, an average California home costs 2½ times the national average, and rent is about 50 percent higher than in the rest of the nation. The programs paid for by Proposition 1, the housing bond, could help as many as 55,000 families, according to the LAO. 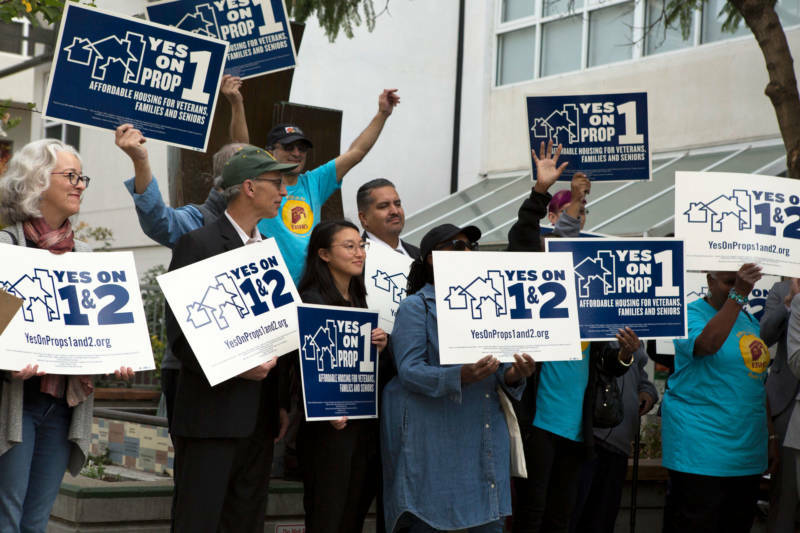 Supporters say that Proposition 2 will help build 20,000 permanent supportive housing units, where residents could also connect with mental health and substance abuse services, medical care, education and job training, and case managers. Proposition 1 was supported by the state Democratic Party and nearly all of the state's Democratic representatives, as well as local governments, labor groups and hundreds of community organizations. There was no official opposition campaign. Proposition 2 had even wider support, from many of the same groups and the state Democratic and Republican parties as well as police groups and many mental health associations. But one chapter of the National Alliance on Mental Illness, in Contra Costa County, opposed Proposition 2, saying it will take money away from mental illness treatment. Lawmakers voted in 2017 to put Proposition 1 on the ballot as part of a broader legislative package aimed at increasing housing production in California and lowering housing costs.